Country superstars Lady Antebellum will arrive in Australia late next month for the first in a string of shows across the Australian Eastern Seaboard. As of the end of June, four of the seven concerts had already sold out, so with such booming popularity, it stands to reason that their record label EMI is doing everything within their power to keep the band’s star shining in the weeks leading up to their visit. 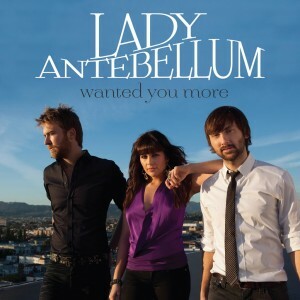 They’ve this week serviced the band’s new single ‘Wanted You More’ to Aussie media. It’s the fourth single lifted from the band’s current album ‘Own The Night’, which has so far been certified gold in Australia (for sales of 35,000 copies). But with a tour to come, expect a chart rise for the album in the weeks ahead as it edges towards the platinum mark.